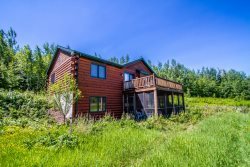 The house was wonderful; secluded, quiet, nicely appointed, plenty of room, nice kitchen and very clean throughout My only suggestion (and as a tree hugger, I can't believe I'm saying this), would be to remove a few trees between the house and the lake. It was a little difficult to see the lake and after all, the lake is what the North Shore is all about. The road work between Lutsen and Grand Marais was a bit annoying but I guess that's just summer in Minnesota. We loved this rental. It was great to be right on the canal, just wish there were better parking options. The condo looked like new. Very clean and well equipped. Great view of the lake. Close (10-15 min) to state parks with hiking trails. Wifi signal was weak at times, but ok for checking email. Neat and well kept cabin close to the lake. Great time. The cottage was perfect for us- plenty of places to hang out together and separately- it was just what we needed. Convenient location- close to parks and to town for a little shopping. Clean and safe, everything we needed. This was the perfect stay and location for our weekend. We had a lot of work today and a little time to get it all done before the event on Sat, but the location and ease of the location made our entire weekend so much more enjoyable! We love the cabin, as well as the location. Like that it is on a lake, that we could have a bonfire if we wanted, and we did. Liked that we could grill every night. Love the deck around the cabin. Is close to everything that we wanted to do. Lovely home, well-stocked and so close to Lake Superior, the pool and facilities. Extremely well-managed by Cascade. Perhaps a rack to hang swim suits, but other than that, it was a wonderful place to stay. It was the most awesome experience, looking at the moonlight fall on the majestic lake superior from the bedroom was just divine. The house was very warm and welcoming and we felt like we were at home. Very conveniently located from the cobblestone beach. Will refer to my friends and family for sure. Easy check in and check out! Could have used another chair in the front living room. Very clean. Would definitely stay here again. The home was very clean and supplied with trash bags, and other kitchen supplies. The yard was mowed and looked great. The sun room had fresh paint and new carpet and comfy couches. We had trouble with the dispenser machine for shampoo etc. in both bathrooms. It seemed to be empty but we usually bring our own. The sunroom was very hot in the afternoons and blinds on the 3 windows that get the sun would help. We love the view and feel of privacy. The location is fantastic for accessing all the North Shore activities.